Pylon’s influence on their contemporaries is indisputable. Indeed, over the years REM has consistently cited Pylon for their positive impact on the 1980s Athens scene. What’s become more clear in the intervening years is that Pylon’s influence is more vast than their local time and place — their revolutionary sound can be heard in new bands even today. Pylon was enjoying a bit of a renaissance in their third reunion period of 2007-2008 when tragically guitarist Randy Bewley suffered a heart attack and passed away at the age of 53. At that point, the band was formally retired and it seemed as if Pylon’s music would only live on in recordings. After a few one-off local performances, in 2014 lead singer Vanessa Briscoe Hay re-formed the band under the moniker Pylon Reenactment Society. With the blessing of her two former bandmates Michael Lachowski and Curtis Crowe, Vanessa compiled a group of performers from the Athens scene who were both intimately familiar with the music and personally known to the band. Guitarist Jason NeSmith and bassist Kay Stanton were not only members of Athens mainstays Casper & the Cookies, but were also bandmates with Vanessa in Supercluster. Drummer Joe Rowe was a founding member of Athens greats the Glands, who suffered their own deep loss with the 2016 death of leader Ross Shapiro. Vanessa also added a new touch with this new configuration, as her friend and University of Georgia music professor Damon Denton fortifies the sound of PRS with skillful keyboards. 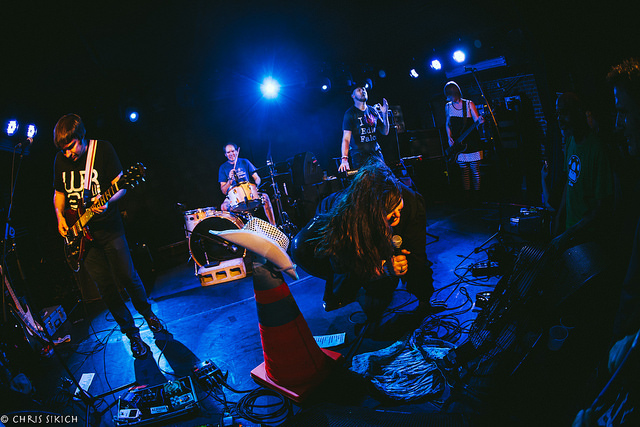 So with friendship, familiarity, and a common ethos, its easily understandable that Pylon Reenactment Society has generated universally positive reviews as both an tribute and a celebration of Pylon, and a contemporary band with its own story to write. 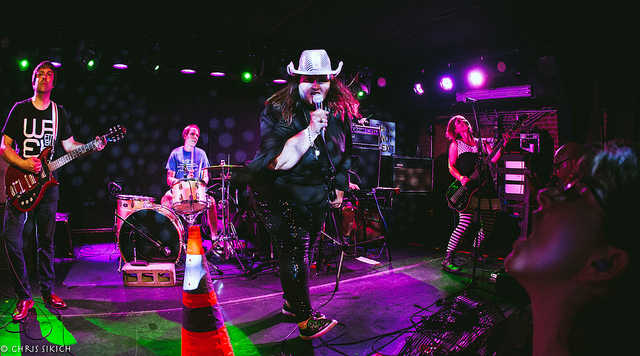 Pylon Reenactment Society doesn’t come North very often, but we were fortunate to catch this month’s appearance at Mercury Lounge, a venue where I captured the original band in 2007. With a full crowd there to party, PRS brought the goods — an animated set of old Pylon classics and two new numbers all performed with the precision the songs require but this a new touch from a different skilled set of performers, all fronted by the inimitable Vanessa Briscoe Hay. The set began with “Driving School” and “Volume” from the first Pylon record, 1980’s Gyrate. Indeed, the show would include almost all of the first album and the entirety of Side A of the band’s second album Chomp. The set even included uber-rare b-side “Altitude”, a song with which we were unfamiliar until the fantastic release in 2016 of Pylon Live (Chunklet). With a twenty-song, ninety-minute set, Pylon Reenactment Society gave the crowd of old and newer fans all that could have been asked for — a chance to relive the old classic material in a new configuration with plenty of heart. We hope they’ll be back North again soon. I recorded this set with the Schoeps cards set up next to the soundboard and mixed with an excellent feed and the sound quality is superb. Enjoy! Its hard to believe that the last time we checked in with Nicole Atkins, it was three years ago. Our extended review of her album Slow Phaser and the Bowery Ballroom show that we recorded concentrated mostly on the record’s clear 1970s AM radio influences. For that album, Nicole put her stamp on the diverse styles prevalent in that decade’s pop. Three years later, several major events in Nicole’s life have guided her approach to the new album Goodnight Rhonda Lee, including her move to Nashville, dedication to sobriety, and marriage. Goodnight Rhonda Lee is clearly an album faithful to its surroundings — both in the existence of multiple regional session players, and in the distinct sound of the record. Similarly to Slow Phaser, Goodnight Rhonda Lee is clearly influenced by the 1970s, perhaps not AM radio but more from that unique time in Nashville when the permissiveness of the 60s finally seeped into the old music town and brought a freedom to the country music capital that it had never experienced before. For about three or four years, the long hairs finally reached the mainstream — perhaps personified best through the career of Kris Kristofferson. When legend Johnny Cash recorded Kristofferson’s “Sunday Mornin’ Comin’ Down” in 1970 and took the song to Number 1, it represented the triumph of the new. And on the other side of Tennessee, Elvis welcomed new bloods Eddie Rabbit and Ronnie Milsap in the recording of his 1970 hit “Kentucky Rain”. Both songs communicate a drop-out melancholy that seemed to permeate the best of the new country during this time frame. But the melancholy also represented a distinctively different feel to the sound in the studio itself. The newly available technologies offered greater multi-tracking and effects not standard to country music that permitted the use of rock-styled guitars, reverbed piano, horns, and strings. Its that identifiable early 70s new Nashville sound that Nicole Atkins captured with stunning authenticity on Goodnight Rhonda Lee. Sure, there’s the album opener co-penned with Chris Isaak that could have been written for Patsy Cline or the neo-soul of “Listen Up” that would sound great covered by Aretha. But for the most part, the album really feels like a Nashville record and the songs themselves — struggles with alcohol, love, and a life in the music world feel at home in the country capital. And ultimately though its remarkable that the album itself wasn’t even recorded in Nashville, but rather at Niles City Sound in Fort Worth Texas. The tour in support of Goodnight Rhonda Lee finds Nicole Atkins fronting a five piece band performing stripped down versions of the album material. There are no horns or strings but the album’s piano is present and guitarist Steven Cooper fills up the rest of the sound with tremendous tone and technique. Cooper is a young Nashville guitar wiz who seems destined for a long and productive career. At a packed Mercury Lounge last week, Nicole and the band performed a 75-minute set with much of the Rhonda Lee material and a few surprises. The set opened with a nice tribute to the recently passed Holger Czukay as Nicole brought back her cover of Can’s “Vitamin C”. Another major moment came when guest Tommy Stinson joined the band to perform a world premiere of his duet with Nicole called “Too Late”. The song was actually released this week. And the Slow Phaser track “Who Killed The Moonlight” took a detour through the Rolling Stones “Miss You” (remember that 70s pop influence). But the focus of this show was the fantastic material from the new album and it was clear that not only the massive talent of the singer but also a crack band were able to pull off the songs live. This show was that good. Nicole Atkins has one more show on this tour, Friday night in Virgina. But she’ll be back with a bunch of shows in November, all dates [here]. I recorded this set with the Schoeps cards mounted at the soundboard and mixed with a perfect feed from house FOH Alex. This recording is absolutely superb. Enjoy! The cost of touring being what it is, there aren’t many Japanese bands that make it to the U.S. as frequently as Acid Mothers Temple. Their yearly tour has become ritual, for the band and its audience. NYCTaper has been capturing the band’s New York appearances for the past few years—always a stop on the Lower East Side at Mercury Lounge, and one in Williamsburg at the Knitting Factory. I’m delighted that this year I got to do my part and record the Mercury Lounge show. The “Wake to a New Dawn of Another Astro Era Tour 2016” wraps up next week in Los Angeles, having begun last month in Mexico City. Through the month-long visit, setlists have been fairly consistent and their Mercury Lounge set features most of the songs they’ve been playing, including “La Novia,” “The Wizard,” “Another Nanique Dimension,” “Cometary Orbital Drive,” and of course it wouldn’t be an Acid Mothers Temple show without their signature “Pink Lady Lemonade.” If you’re familiar with Acid Mothers Temple, you know the deal and no further introduction is needed. If this is your initial foray into the Acid Mothers cosmos, welcome aboard. I recorded this set from our usual location in the venue combined with a board feed from Mercury FOH, Alex. The sound is excellent. Enjoy, and stay tuned for the Knitting Factory set, which we’ll be posting soon. The Wake to a New Dawn of Another Astro Era Tour 2016 continues! Check here for the remaining Texas and California dates. Download the complete show at the Live Music Archive. 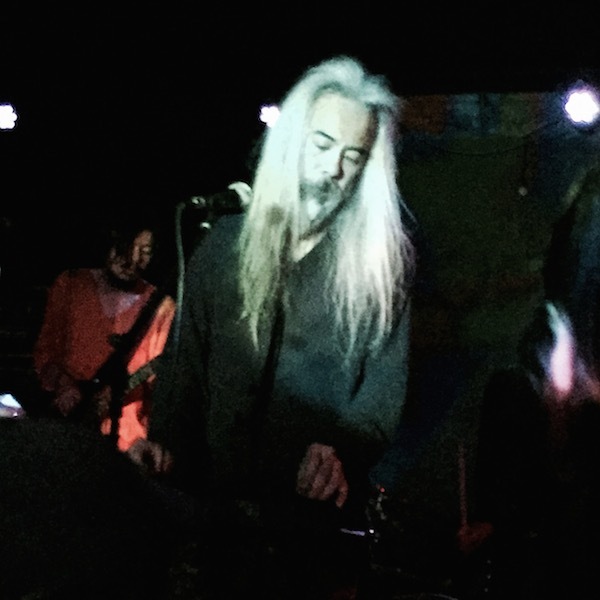 If you download this recording from NYCTaper, PLEASE SUPPORT Acid Mothers Temple, visit their website, and buy their records here. It seems more than apropos that the Twitter handle of the San Diego band Earthless is “@earthlessrips”. ‘Cause that is, indeed, what they’re gonna do when you see them onstage during one of their relatively infrequent East Coast trips. During this run, they hit both Rough Trade NYC and the Mercury Lounge the following night. We caught the latter show, on a late Friday, and it was a doozy. For over an hour the band shredded through just three songs, two of which hailed from their 2013 LP From the Ages. While their records are cult favorites in their own right, the live show is the right place to experience these guys, as Mario Rubalcaba (drums), Isaiah Mitchell (guitar) and Mike Eginton (bass) tearing it up onstage is about as ideal of a fist-pumping, beer-swigging, rock n’ roll moment as you can have with a band that you aren’t embarrassed to like. This is rock music at is elemental, instrumental best, loud, pure and stacked with riffs. Somebody is bound to throw around the term “stoner rock” at some point or another, and who can blame ’em, but this is music that can go with almost any drug (or none at all, of course). After a short break, the band closed this show with a cover (with vocals, no less!) — a true-to-the-original rendition of Jimi Hendrix’s “Foxy Lady.” It wasn’t the twenty-minute thrashers that came before it, for sure, but the cover was perfect — one last time to let Earthless remind us why they’re a must-see when they’re out this way. I recorded this set with Schoeps MK41V microphones and a direct feed of Mercury engineer Alex Beaulieu’s live mix. The sound quality is outstanding. Enjoy! The indie-soul crossover movement of the last decade that included the likes of Sharon Jones and Raphael Saadiq was admirable but would only be truly meaningful if it led to young bands taking up the mantle. This is where The Rooks come in. The band was formed at Wesleyan College in Connecticut. The Rooks moved to NYC in 2013 and began to play gigs that were immediately lauded — their residency at Pianos in January of 2014 is on record as one of the most highly-attended runs that venue has produced. We caught the band during those shows and acidjack noted the band’s obvious talent, appeal and predicted future success. We’re still sticking with that story. In December, I captured The Rooks in a double bill with their friends Lawrence, and the packed sold-out Mercury Lounge confirmed that we’d been right. The band is bigger than ever and with the crowds bursting at the seams, they are poised to move up the ladder to bigger venues and more high profile gigs. The band’s set included tracks from their 2015 EP Wires, a couple of unreleased songs, and three neat covers, including the closing song from an unmentionable artist that tore down the house. Catch The Rooks on tour this Spring including a show at Rough Trade BK on February 27. I recorded this set with the Schoeps mounted next to the soundboard and mixed with an excellent feed from Mercury’s FOH Alex. Other than a boisterous crowd somewhat noticeable during quieter moments, the sound quality is superb. Enjoy! Our friend William Tyler has been a real road warrior these past few years, hitting NYC multiple times both as a headliner and support act. These two performances represent the latter, with Tyler’s virtuoso guitar playing setting the stage for another act. This month, Tyler did the duties for Wilco at the Capitol Theatre in Port Chester, NY, a legendary venue that Tyler acknowledged as such before delving into a concise but powerful set that featured a brand-new song, “Venus and Aquarius,” along with growing tour favorite “Highway Anxiety.” The vibe was a bit different at the intimate Mercury Lounge back in summer of 2015, when Tyler opened of the two Ty Segall acoustic sets we covered that day, but what didn’t change was Tyler’s gratitude and generosity toward his audience, as he played another new song (tentatively titled “Going Clear”) as well as another excellent version of “Highway Anxiety,” among others. If you were in the taper’s section at the Cap, you’d have noted the surprise among the Wilco diehards who hadn’t heard Tyler before. Part of Tyler’s charm is that how easily he wins over not only crowds that aren’t his own, but crowds who aren’t generally familiar with instrumental guitar music. Give these sets a listen — both the songs and the banter — and you’ll get a sense of why. 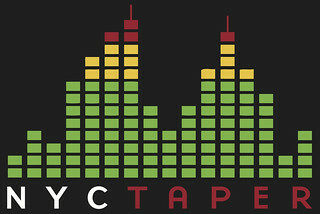 nyctaper recorded each of these sets with Schoeps CCM4 microphones. The Mercury show also includes a soundboard feed. The quality of both is outstanding. Enjoy! If you enjoyed these recordings, PLEASE SUPPORT William Tyler, visit his website, and grab his records from Merge. I’m a big fan of intelligent and accomplished musicians — the type of people who don’t just play music but thrive at other vocations. Recently we enjoyed the music of fashion icon Preetma Singh, mathematics whiz Kiran Gandhi, composing genius Owen Pallett, award-winning novelist John Darnielle, and others. On Friday at Mercury Lounge, it was Jonathan Meiburg of Shearwater, who besides fronting an outstanding band is also a renowned ornithologist, or a bird expert, who has been profiled in Scientific American. Meiburg’s dual expertise results in some consistent themes in Shearwater’s music. The lyrical content includes many references to nature, with two of the albums actually called Animal Joy and The Golden Archipelago. Last month, Shearwater released their eighth full-length record Jet Plane and Oxbow and its been described as a “protest album” which given current climate science, would seem to be an instinctual reaction for someone in tune with the natural world. At Mercury, the band played eight of the eleven songs on the new album (along with three classics and one cover) and the entire event was truly breathtaking. The show began with a single white light illuminating Jonathan’s face as the band began the set with the album’s opening track “Prime”, a song that offers dual themes of tragic love and a natural world on the precipice of danger. The set continued in dramatic fashion until book-ended by the album’s closing track the somber “Stray Light at Clouds Hill”, a song that shares a lyrical refrain with “Prime” but mourns both human and natural death. For an “encore” (the band never actually left the stage), Meiburg offered a heartfelt tribute to the late David Bowie by pointing out that the album Lodger helped him through some difficult times, before the band broke into a powerful version of “Look Back in Anger”. It was a compelling and appropriate end to what was most certainly one of the best shows we will see all year. Shearwater is currently on tour in Europe but will return to the US in March, including a show back in NYC at Bell House on March 12. Our local readers would be wise to attend that show. I recorded this set with the Schoeps mounted at the soundboard booth and mixed with an extraordinarily well-mixed board feed by the band’s very talented touring FOH (whose name I did not get, please provide if you know ). The sound quality is superb. Enjoy! Lawrence the band is co-led by a brother and sister duo, Clyde Lawrence and Gracie Lawrence. In a true display of the idea that talent is genetic, both Lawrence siblings have been accomplished performers for the majority of their short lives. Clyde Lawrence is on record as the youngest member ever of the Songwriters Guild (SGA), having written a song for a major motion picture at the ripe age of six. Clyde continued to write songs for movies throughout his teens and indeed wrote the complete score for the 2014 film The Rewrite, starring Hugh Grant and Marisa Tomei. Gracie Lawrence has been in several movies and indeed appeared on Broadway in Brighton Beach Memoirs. She has pages on the Playbill Vault, Wikipedia and IMDb and she is only eighteen years old. At Mercury Lounge in December, the band previewed much of their upcoming debut album. The record was produced by Eric Krasno of Soulive and is expected to be released in February. Lawrence is going on tour throughout February (dates here), which culminates in the record release show at Webster Hall’s Marlin Room on February 18. I recorded this set in our usual manner at Mercury — Schoeps on a stand at the board and mixed with an excellent feed provided by house FOH Alex. The crowd was a bit boisterous on this late weekend night but overall it just adds some authenticity to the recording, which otherwise sounds quite excellent. Enjoy! Kathryn Calder’s solo career got a jump start this year. After Kathryn spent much of 2014 on tour as a member of the New Pornographers, a band within which she’s been a member for almost a decade, she returned to making her own music. It was the dual tragedy of the separate deaths of her parents that caused Kathryn to step away from solo material. Her 2010 album Are You My Mother? so poignantly captured the mixture of sadness and devotion involved in caring for a sick parent as Kathryn was coping with her mother’s ALS. Five years removed from that album, Kathryn Calder (self-titled) was released in April of this year. While not as profoundly personal as Are You My Mother?, the new album is consistent with Calder’s solo work — personal songs anchored by her rich and moving vocals. Her performance at Mercury Lounge in September took place on the most somber of days in NYC, but as with all of her material the message of hope was most appreciated on that particular day. Kathryn worked through five of the ten songs from the new album, some older material and one brand new song in a well-paced fifty-minute set that delivered exactly what we came to see. I recorded this set with the Schoeps cards mounted at the front of the soundboard and mixed with a board feed. The post-production work was a little difficult reconciling the quieter and louder moments during the set, which partly explains the delay in posting this recording. However, the final product is quite excellent. Enjoy! If you Download this recording from NYCTaper, we expect that you will PLEASE SUPPORT Kathryn Calder, visit her website, and purchase her official releases from the Store at her website [HERE].